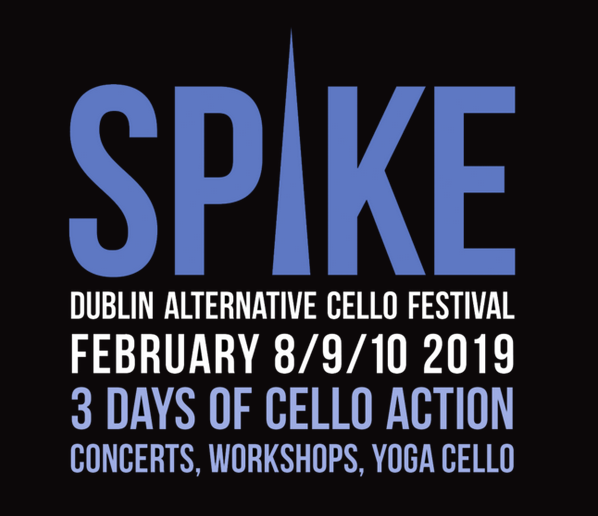 Spike Cello Festival, Dublin’s alternative cello festival, will be back for its third installation Friday 8 – Sunday 10 February 2019 in venues across Dublin. After the festival’s hugely successful, entertaining and innovative 2017 & 2018 incarnations, the 2019 programme will present unique events with some of the most talented and exciting cello artists & friends from home and abroad. For 2019, Spike Cello Festival curators Mary Barnecutt and Lioba Petrie are looking to both the future and the past in their programming. Audiences will have the chance to witness some very forward-thinking performances as cellos play a computer game and combine with visually-stimulated electronics – alongside performances from an older cousin of the cello, the viol, with performances from the Dublin Viol Consort. Among the highlights of the festival will be a series of evening performances taking place across the weekend at The Workman’s Club, with Ernst Reijseger, Claire Fitch, the Cello Ireland Quartet, The Devil’s Violin, Semay Wu and an open mic session, along with specially commissioned activities for younger people hosted by The Ark, including an interactive cello created by composer Jonathan Nangle. For more information on Spike Cello Festival, please see spikecellofest.com.